Like any good rock star academic, Graeme Robertson and I are taking this show on the road! The following is the Editor’s Note from Vol. 55, Issue 4-5 of Russian Politics & Law. Identity has been making something of a comeback in the world of Russian politics of late. Ever since Vladimir Putin and his advisers turned to the so-called “values agenda” to drive a wedge between the Bolotnaya-era opposition and the bulk of Russian citizens – successfully, as it turned out – identity has been at the core of Russian politics. Scholars have noted the role of identity politics in reordering the behaviors of Russian elites (Sharafutdinova 2014) and voters (Smyth and Soboleva 2014) alike, as well as in structuring the Kremlin’s approach to geopolitical confrontation (Sztosek 2017). As you may of heard, Graeme Robertson and I have a new book hitting the shelves soon — 23 April in the UK, 11 June in the US – and available now to pre-order. To get a flavor, listen to Graeme’s interview on Chapelboro.com, and then pre-order the book! As we move at breakneck speed towards uncharted waters, I’m struck by the number of people assuming that rationality tends towards self-preservation – and that a country cannot destroy itself by accident. Alas, history and the study of politics suggest otherwise. When systems fail, it is very rarely by design. To take a case in point, there were a lot of obvious reasons why the USSR was fragile (or Yugoslavia for that matter), but (almost) no one predicted the collapse. Why? Because we assumed that people knew and understood more than they did. What follows is my Editor’s Introduction from the most recent issue of Russian Politics & Law. 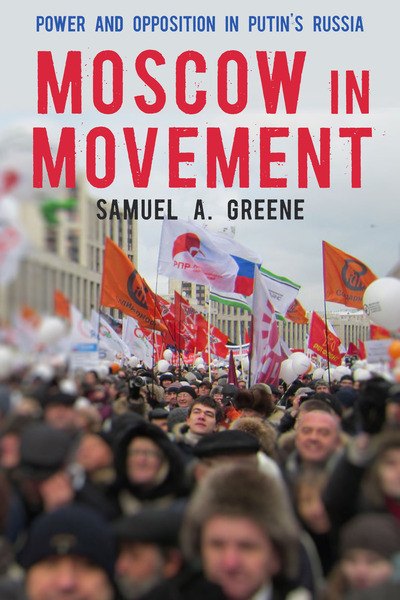 The mission of this journal is deceptively simple: to bring to English-language audiences important writing on Russian politics and governance that they would otherwise not be able to read. The most difficult word in that sentence, of course, is “important”.